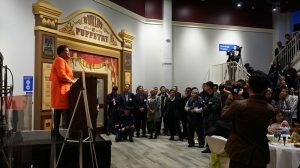 Atlanta, March 21, 2019 — Taipei Economic and Cultural Office in Atlanta (TECO) and Atlanta-Chapter of Overseas Community Affairs Council celebrated the 40th anniversary of Taipei-Atlanta’s Sister City relationship with a reception at Center for Puppetry Arts in midtown Atlanta. 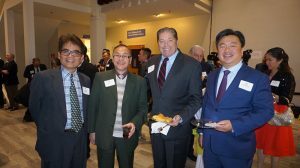 Mayor Ko Wen-je of Taipei City heads a delegation of 50-individuals delegation including five-city council members and officials involved with economic development, international relations, environment, etc. 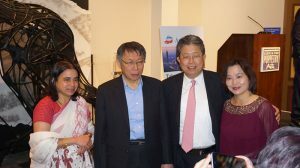 A large delegation of two dozen journalists from major Taiwanese news and broadcasting medias accompanied the tour in U.S.
During his 24-hour stop over tour of Atlanta, Mayor Ko paid courtesy calls on Mayor Keisha Lance Bottoms and Governor Brian Kemp. Mayor Ko delivers his remarks in English invoking Dr. Martin Luther King, Jr.’s peace and human rights movement. 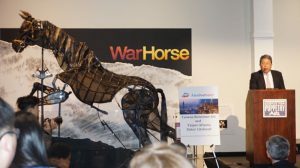 Taipei established sister cities relationship with Atlanta during the administration of Mayor Maynard Jackson. There are currently 16 U.S. cities have the sister relationships with Taipei and 40 sisters cities around the globe. 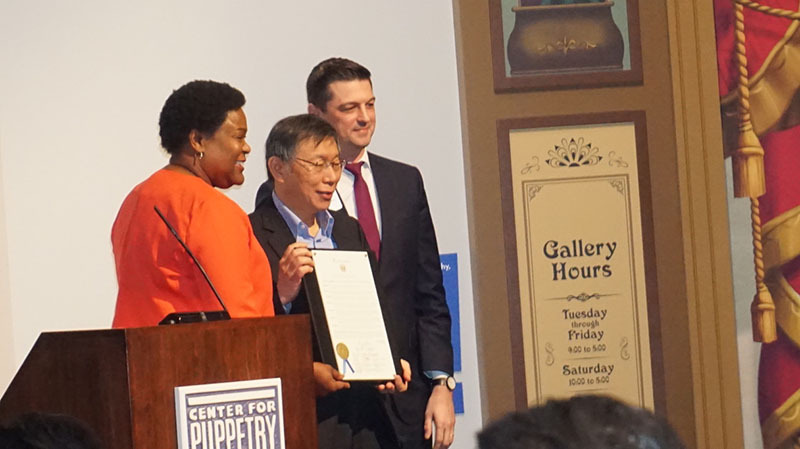 Atlanta City Council’s President Felicia Moore presented a proclamation in honor of Mayor Ko Wen-je at the reception. She was accompanied by District 2 Council member Amir Farokhi. 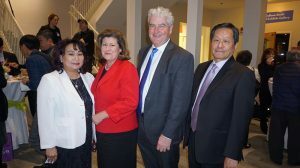 In addition to Atlanta, Mayor Kuo and the entire Taipei delegation are expected to cover New York, Washington DC, and Boston during their U.S. tour.